Say hello to Jemima Morrell, a plucky woman from Yorkshire who had a spirit for true adventure. 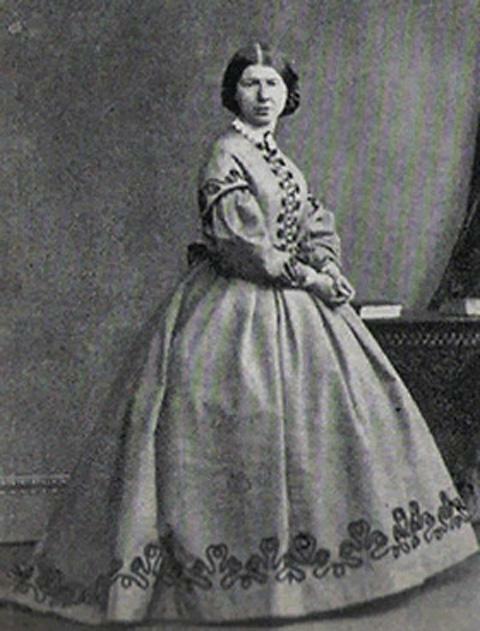 So much so that in 1863, at 31 years of age, she, along with three other lady friends, joined excursionist Thomas Cook on his FIRST guided tour of the Swiss Alps. 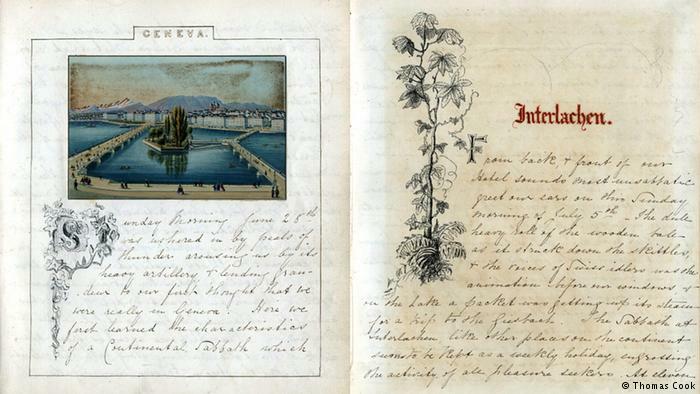 We know how tough the adventure was ’cause Jemima kept a diary, discovered by family members one hundred years later in 1963; the amazing account was published under the title: “Miss Jemima’s Swiss Journal: The First Conducted Tour of Switzerland”. Miss Jemima and the Alpine Club took the first Thomas Cook guided tour to Switzerland. How did this trip change travel? The most crucial change was that it made going abroad for a holiday feasible and affordable. 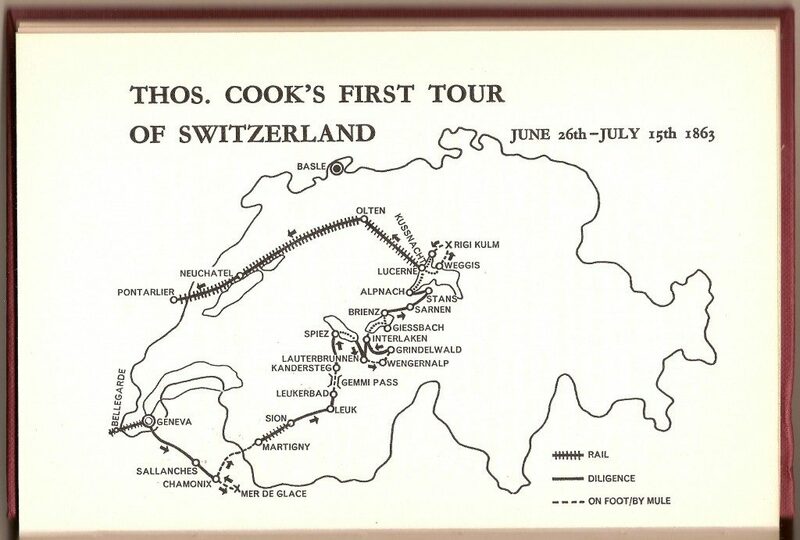 Up until then you needed both time and money to reach the Alps – just the journey there by coach took two weeks – but Cook changed that by using the railways and negotiating group discounts for the tickets. For the first time the middle classes could reach Switzerland and take a holiday there for two weeks and a few pounds. That was a seismic shift in the way people viewed foreign travel. It was no longer the preserve of the elite but something for everyone. Then on the back of his Swiss success, Cook added Italy, Egypt, India and so on until he was a world brand. And he introduced hotel vouchers, train passes and travellers' cheques to take the hassle out of going abroad. It was the birth of the modern travel industry. What impact did the early tours have on Switzerland? 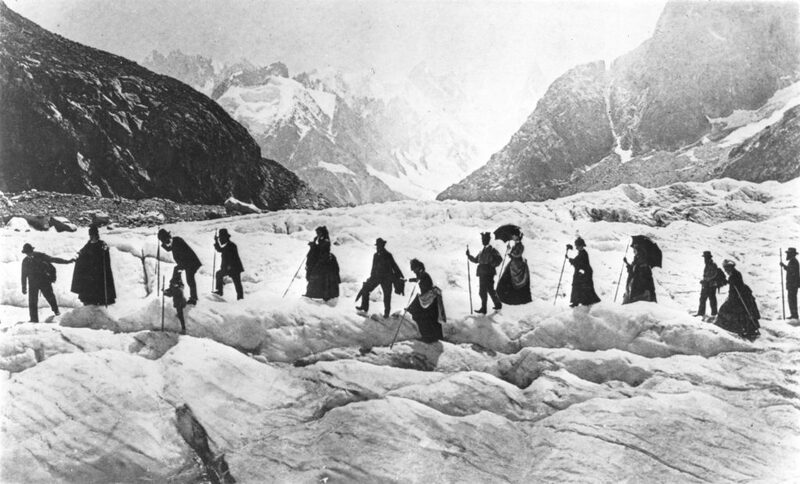 In the 1860s Switzerland was not the rich, efficient country we know today. There were pockets of wealth in the main cities, but the rural areas were desperately poor with people simply living off the land. Life expectancy was 40 years, whole villages were afflicted by goitres and beggars were common. Tourism helped change that by bringing money directly into exactly those rural areas because the unspoilt landscape was precisely the reason the British came in their thousands. That provided a crucial income for the Swiss in places like Kandersteg, where the locals could soon get work as waiters, porters, tour guides or souvenir sellers. Not only that but the steady influx of tourists provided the financial motive for building train lines up into the mountains. Until then, the Swiss train network was limited to the main towns; there was simply no economic reason to build lines to places where there were more cows than people and no natural resources. Tourism changed that completely, making lines to places like Zermatt and Grindelwald viable and successful so that for the first time even remote areas of Switzerland could be linked to the rail network. © 2013 Copyright by Radu Stinghe. All rights reserved.